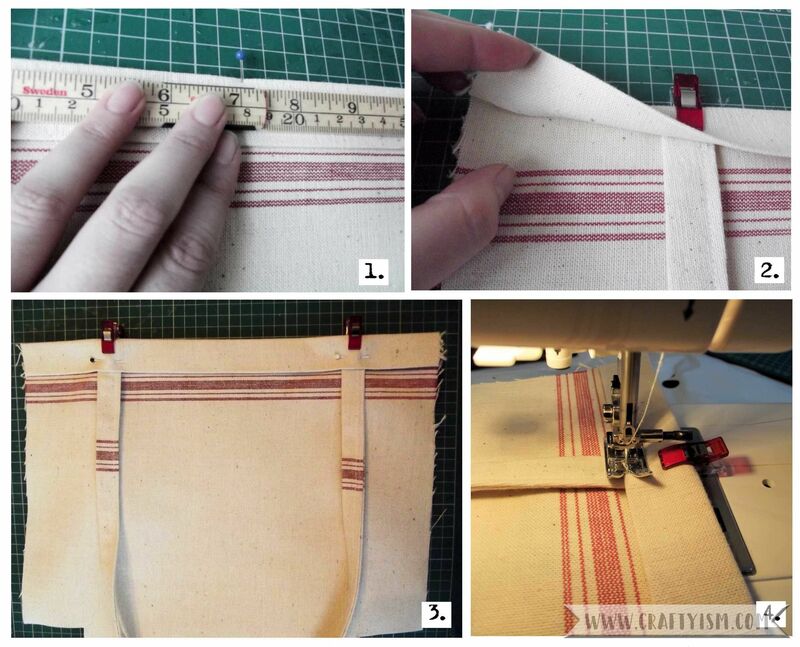 In this tutorial I will show you how to sew an easy shopping bag made from just one tea towel. I love looking around charity shops and strange little junk shops and often you can find loads of interesting textiles. I have gathered myself quite the collection of souvenir scarves and handkerchiefs! When I look at my collection I am filled with a desire to do something with them and to make them into something usable in my everyday life – but I’m scared to ruin them. So in an effort to conquer my fear of ruining quality textile products, I decided to make a shopping bag out of a tea towel (as you do!) and I will show you how you can too. 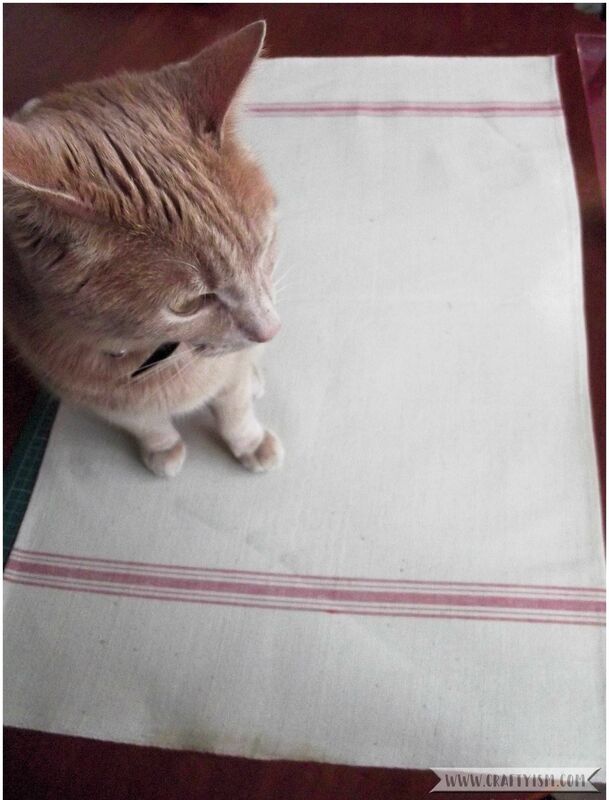 Lay your tea towel out on a flat surface – I had a glamorous assistant to help me! 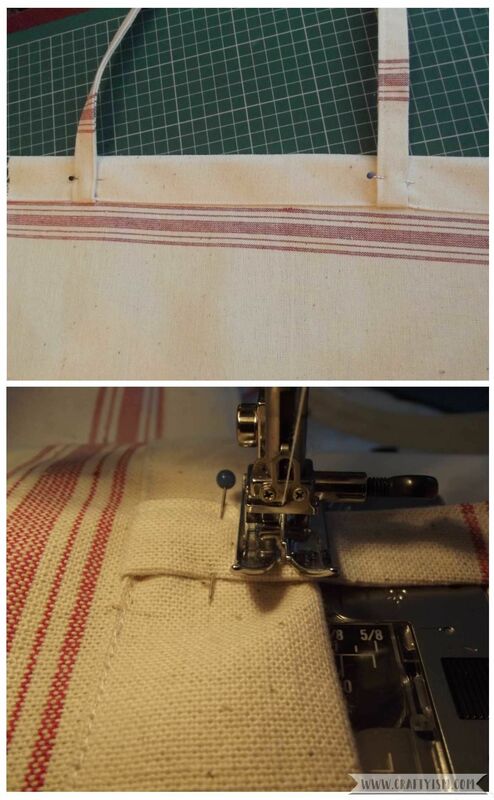 Fold your tea towel in half across the width, right sides together. Cut a 2 inch strip off the left and right sides – these will become the handles. On the bottom edge where the tea towel is folded, cut a 2 1/2 inch square from each corner. Now go back to the long 2 inch strips you cut earlier. You can see on picture 1, that one side is already hemmed, so on the other side, fold in 1/4 inch all the way along the strip and iron. 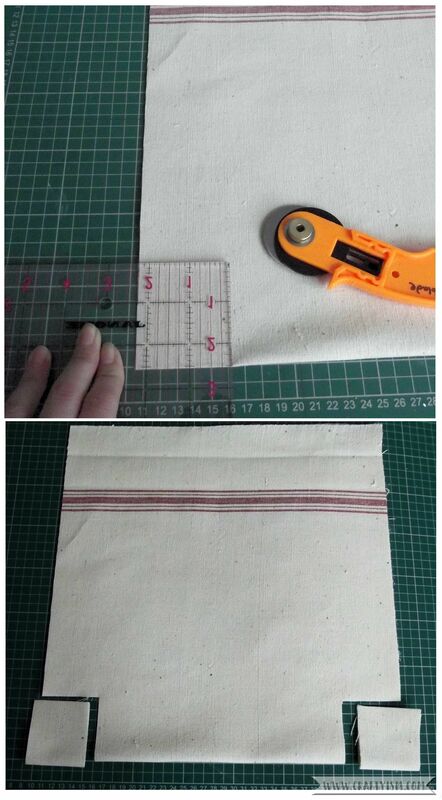 Fold the whole strip in half length ways, so that the 1/4 inch fold you just made is on the inside and iron. Next, sew all down the length of the strip, close to the open edge. Repeat these steps with the other strip you cut earlier. 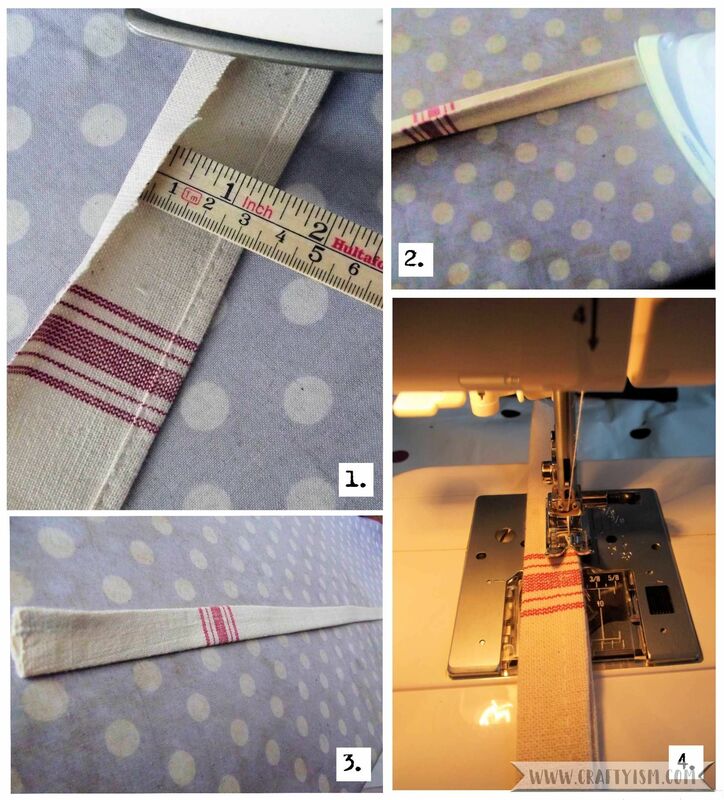 Going back to the tea towel, measure and fold a 1 inch strip from the top edge and iron. 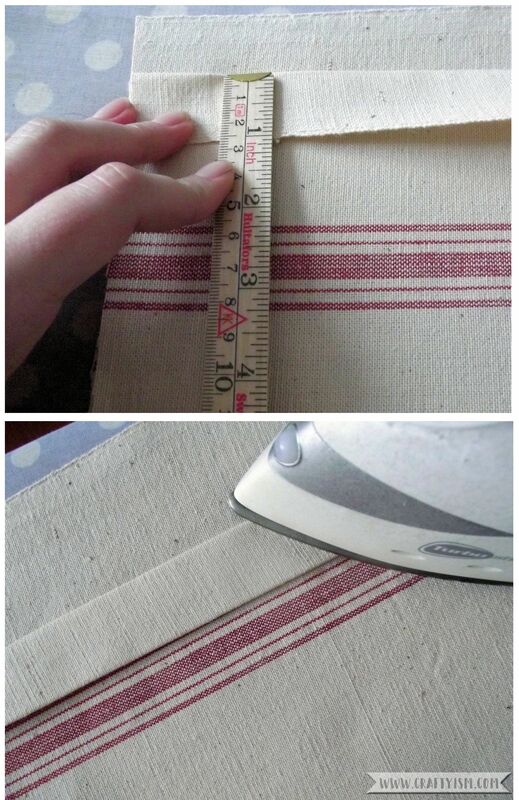 Fold this section over again and iron. Repeat on the other top edge. Now to attach the handles. Repeat with the second handle on the other side, making sure to use the same measurements to place the handle ends. Flip the handle up and pin in place along the top edge. Sew across the top edge, catching the handle as you go. Repeat on the other side. Fold the bag back in half, right sides together, and pin the left and right sides. Stitch along the sides with about a 1/4 inch seam from the open edge. Trim the edges with pinking shears or neaten with an Over-locker. Now to add shape to the bag. Go to one of the cut out squares at the bottom of the bag. Match up points A and B as in picture 1. Flatten them out as best you can and pin. Sew along this section, close to the open edge and trim with pinking shears or neaten with an over-locker. Repeat with the cut out square on the other side. 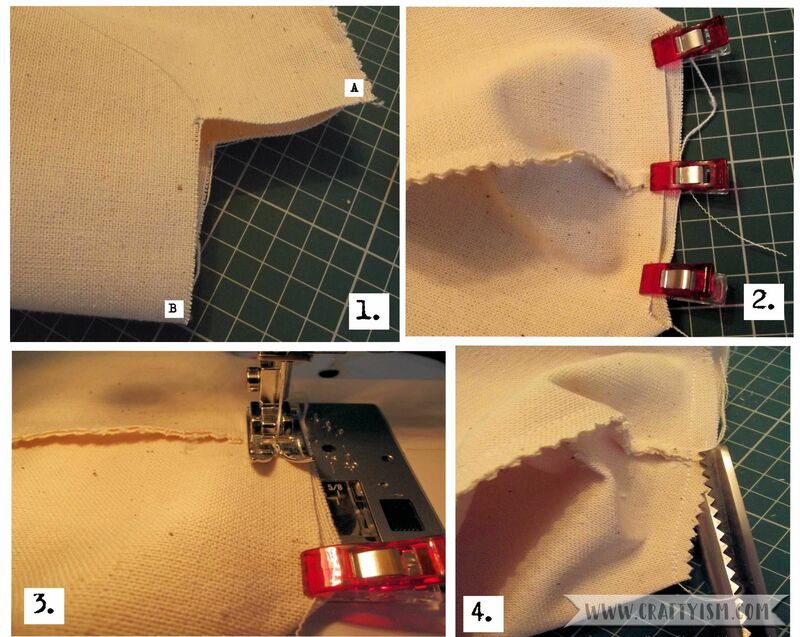 Flip the bag the right way out and iron any creases and points you want more prominent. 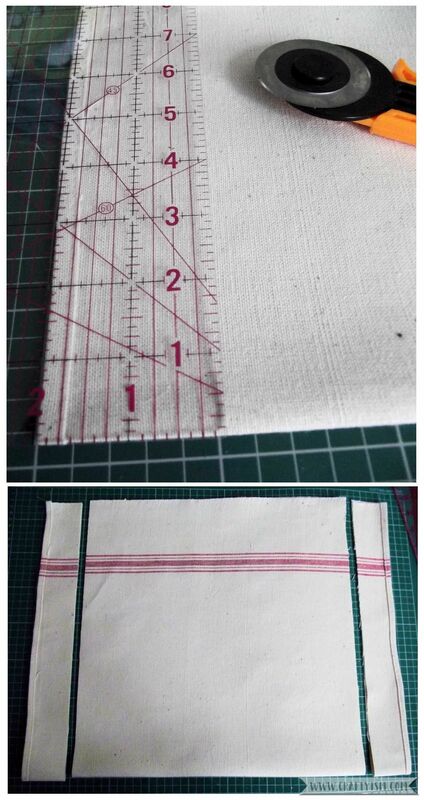 These measurements are just a guide as tea towels come in various sizes, but the general idea will work with any rectangular piece of fabric. And that’s it. It wasn’t so scary after all and I do actually think I have improved the tea towel. Well at least I don’t have to do any washing up before I can use it! Now I just have to come up with some interesting stuff to do with handkerchiefs. I have a souvenir one from Hawaii that I got in a junk shop that I can’t wait to use. 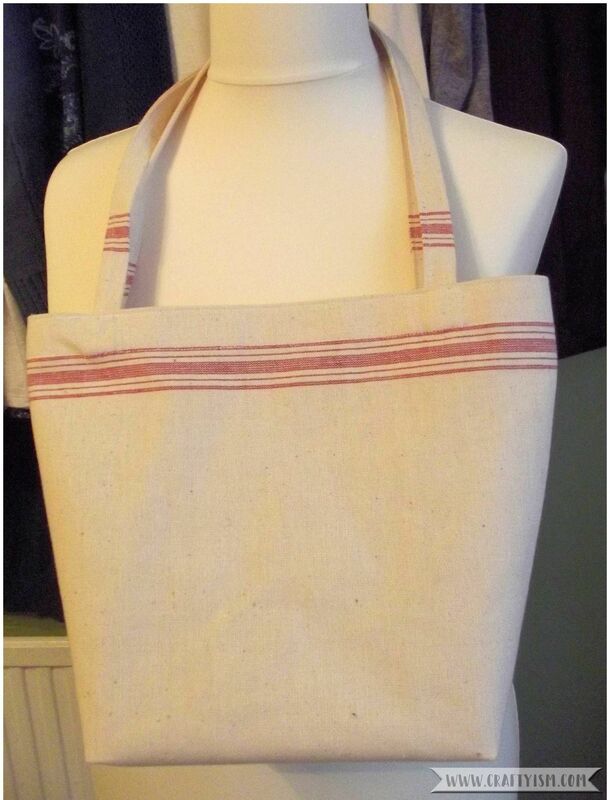 Please let me know if you have a go at making this tea towel bag, I’d love to see pictures, and please definitely let me know if you have an idea of what I can do with all my handkerchiefs and scarves.